The ‘Harley’ is a face brush handmade using brushed goat hair and is unbelievably soft. With its long whispy hairs this is the Creme De La Creme of face brushes. The Harley is extremely versatile and can be used for a Variety of different applications such as highlighing the raised areas of the face, for a light sweeping of blush on the apples of the cheeks, bronzer application and can also be used to create a soft shading effect to the contours of the cheekbones. My ultimate brush!!!! I use this for everything face based….and I mean EVERYTHING!!! The tapered long hairs pick up the perfect amount of product for what ever your desire. Loose powder, bronzer, highlighter. I can not recommend this brush enough. Love it. Love this brush! I mainly use it for bronzing my face. It picks up the perfect amount of product, there’s no need to dig into your product to pick up the amount you want like many other brushes I’ve used. It’s so soft on the face. And it’s so easy to wash. It’s my first purchase from Nima and I will definitely be buying more in the future. I just love this brush so much it’s so soft and pretty I use it for soft contour/ highlight and blush. It’s just the perfect brush highly recommend it!! Harley is my newbie & well worth waiting for…effortless & pure luxury ?? First of all I would like to give 10/10 for customer service. Website is so informative and user friendly.I received my order the day after I placed it too !! The Harley is a dream of a brush to use and is uber soft!! Picks up just the right amount of product and places it seamlessly onto the skin.I am in love!! The Harley brush is literally the softest brush I have ever used. Far superior to any Mac brush I’ve owned. Perfect for contouring and highlighting. Love it. Like all the Nima brushes it is so pretty. Can’t stop admiring it. Absolutely adore this brush, got my first one at Halloween and I now have 3. Such an original brush and has multi use! I use it for blush bronzer and face powder. Couldn’t live without it in my makeup bag! Also a plus that it looks so pretty on my makeup table? Can not fault the Harley brush at all! It is such a unique shape I have never seen another brush like and it’s probably the most versatile brush I’ve ever used! It places just the right amount of product on your face and does all the blending for you making everything look so flawless! I love it for setting the face, bronzing the face and using with blusher, it’s amazing. I feel like you could use this for like your entire face.. gorgeous brush! Already christened the ‘Mini Harley Brush’, The ‘Maria’ brush is both a face and eye detail brush handmade using brushed goat hair and is unbelievably soft. 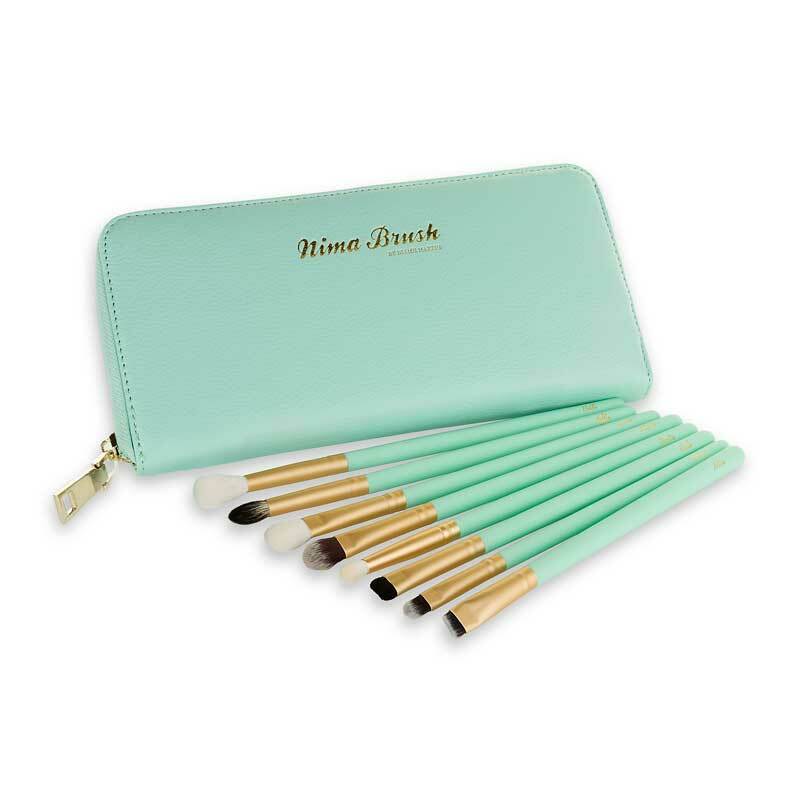 With its long whispy hairs this is a welcome addition to the Creme De La Creme of brushes. The ‘Maria’ is extremely versatile and can be used for a Variety of different applications such as highlighing the raised areas of the face, powdering under the eyes, shadow application and can also be used to create a soft shading effect to the contours of the cheekbones.